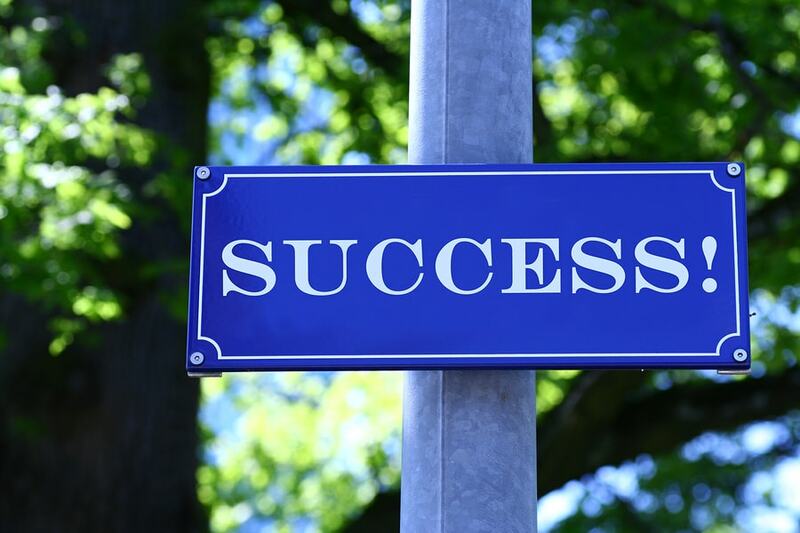 Are you planning for your PMP certification exam? Do you want to know about PMP exam cost? Are you interested in understanding the benefits of the exam versus the PMP exam cost? If you are looking for a deep dive on PMP exam cost, and what are the limits of PMP Exam Cost, here you go! Before going into the details of PMP exam cost, firstly let’s define PMP. 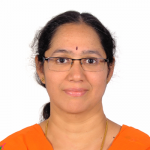 It is a certification from the Project Management Institute (PMI). PMP is now almost a mandatory requirement for project managers for their career growth. PMI conducts this PMP certification exam through its Prometric centers across the world for which we are trying to understand the PMP Exam Cost. We will be delving into the different aspects of the PMP exam: who conducts it, what it consists of, how to prepare for it, what are its benefits and what is PMP Exam cost, etc. PMI has its headquarters in Philadelphia, USA. While it is headquartered in the USA, its presence is all over the world. You have a PMI Chapter in almost every country in the world. PMI Institute is the number one institute in the world advocating project management. PMI was established in 1969. What does PMI offer to Project Managers? Before thinking about PMP Exam cost, look for the options! You can find certifications on project management, program and portfolio management at PMI. If you are looking for best practices, practice guides and foundations standards pertaining to project management, PMI is the place for you. Certified Associate in Project Management (CAPM): Do you want a credential that kick starts your career? Willing to invest time and money to show your commitment to the project management profession? Then, even if you are a beginner, or having less than approximately 3 years of experience, you can think of CAPM, in other words, Certified Associate in Project Management. Project Management Professional (PMP): Do you have more than 4500 hours directing and managing projects? Then, check out the PMP, Project Management Professional, the most sought after credential globally and also the applicable PMP Exam Cost. Agile Project Management: Are you looking for a specialization? If you want to showcase your skills in Agile practices and principles of Management, PMI offers credentials for that too: PMI-ACP! Program and Portfolio Management: On the other hand, if you are a seasoned project manager who has moved or moving to a higher role, does PMI have anything for you? Definitely! Check out the program management credential (PgMP) or the Program Management Professional. Do you want to assess your expertise in managing multiple related projects, you can choose PgMP and flaunt this credential with your name! Is your role about selecting projects that fit your organizational strategy? Do you prioritize projects and make strategic decisions? 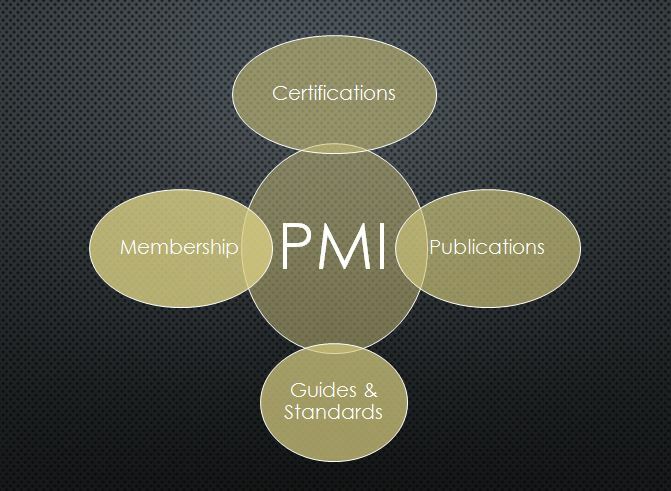 For you, PMI has the Portfolio Management Professional Certification. You can become an individual member of PMI by paying the annual subscription fee of $139. How is this helpful? We will explore the PMP Exam Cost and how this helps in comparing PMP Exam Cost. You get privileged access to a multitude of resources. For a start, you can download your personal copy of PMBOK and other standards and guides available on the PMI website. There is more to the membership. You can pay discounted fee on certifications in addition to accessing white papers, case studies, etc. Are you a member? If so, attend the many seminars, conferences, events that are conducted by PMI and REPs at a special discounted price. You can access the journals and white papers that are published by PMI. In addition to these, you can find the current trends and other relevant information on project management here. There are also Webinars, Seminars, Events that you can attend at a discounted price. And these might reduce the overall PMP Exam cost for you. Have you heard of PMBOK pdf? A Guide to Project Management Body of Knowledge- PMBOK is the Gold standard in project management. Are you looking for a reference for successful management of projects? Look no further! PMBOK is the bible for project managers across the world. Now let’s get to the details of PMP exam cost. 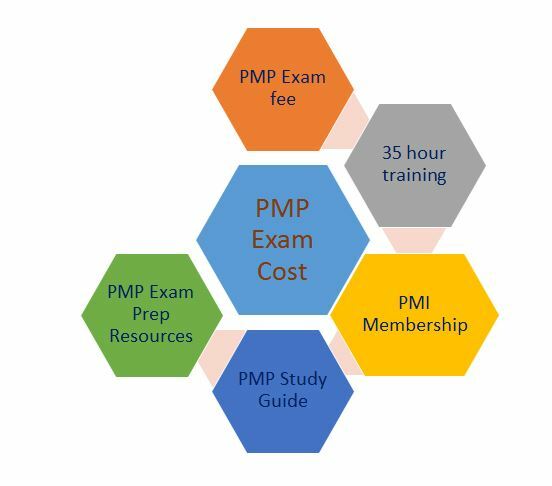 How much does PMP Exam cost? I could give a one-word answer $555 but, what does this PMP Exam cost encompass? Is that $555 all the total involved for PMP Exam Cost? If you ask this, then no, there are many more components of PMP Exam cost that lead you to PMP certification. Therefore, let us drill down by understanding the requirements, options and then arrive at the PMP Exam cost. Before exploring the PMP exam cost, do you know what are the prerequisites for PMP Certification Exam? What are the PMP requirements? Let us explore what kind of educational qualification, experience and education you need to apply for PMP and what aspects of PMP Exam Cost will be needed? Do you have a 4-year Bachelor Degree? If yes, you satisfy the Education qualification requirement. In addition to this, do you have an experience of at least 4500 hours leading and directing projects? How is the eligibility pertinent to the PMP Exam Cost? There is no cost that you now incur on the degree or the experience but there is a PMP Exam cost associated with the 35 hours of project management education. ‘How much’ is your next question. Yes, we are coming to that. What are the components of the PMP Exam Cost? The components of the PMP exam cost can be explained like this: PMP Exam Cost is a total of cost of 35-hour project management program, PMP Exam Fee, PMI Membership Fee (optional) and cost of other preparation resources (optional). Let’s explain all the aspects of PMP Exam Cost one-by-one. This component of PMP Exam Cost is where you have flexibility and negotiable. While the cost depends on the provider, it also comes down heavily if it is a PMP Online Certification. We discuss the pros and cons of each training option so that you can take an informed decision. Exam fee to be paid to PMI is another component of PMP Exam Cost. You will pay $555 if you are not having PMI membership. Are you a PMI member, then you need to pay $405. To become a member, you pay the membership fee of $139 for the one-year subscription. In the PMP Exam Cost, the exam fee is the component where there is no change wherever you are located. You save about $10 if you are a member but you may want to add that as a fee for the local PMI chapter. If you are planning to buy any PMP Study Guide, that will add to PMP Exam Cost. Moreover, the costs vary depending on whether it is a soft copy or hard copy. Also, this component of the PMP Exam cost would fluctuate based on the author, publisher, online version, etc. Are you planning to buy any practice tests, exam simulators? Then add them to the PMP Exam Cost. 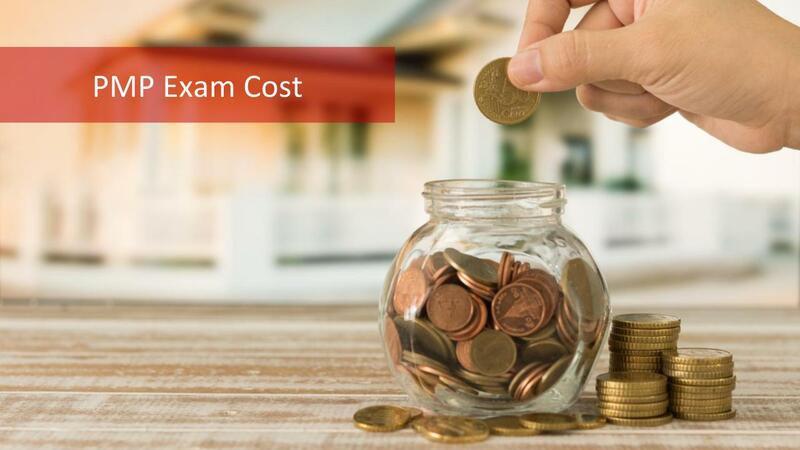 If your training provider did not provide any exam preparation resources, you would incur that as additional cost component in the PMP Exam Cost. Normally good training providers give a study guide, sample PMP exam questions (3-5 full-length tests), flashcards, mind maps, etc. So that wouldn’t be an extra PMP exam cost. Therefore, when choosing a training provider, ensure that they have all these and are also competitively priced for not having bad surprises with PMP Exam cost. On an average PMP exam cost, you may spend around $100 for any resources you plan to purchase. Which Project Management education options do you have? What are the options and how much do they add to PMP Exam cost? What are the pros and cons of these options? How do I choose? You can choose from classroom, online or virtual classroom session for the project management education requirement. While PMP Exam Cost is one aspect you need to consider, there are more factors to weigh in choosing. Let us explore the options. Did you that ‘Boot camp’ word has its roots in military and was meant to be a rigorous training for new recruits? I am sure, you got the hint on why it is a PMP Boot Camp now! Typically, these PMP Boot Camps are conducted for 3-5 days. What happens in this PMP Boot Camp, how much it adds to PMP exam cost? Coverage in PMP Boot Camp: The course is based on the PMBOK or the Project Management Body of Knowledge. You would get an overview of the 10 Knowledge Areas and the 5 Process Groups of PMBOK. While some boot camps help you test your understanding and knowledge of the PMBOK. A few others may have a few sample questions or a full length 200 question exam too. You could also be given a few tips and tricks on cracking the PMP certification exam. Some of the camps focus on memorization. How is it done? Generally, you will attend a 12-6 hours per day session for 3-5 days. You are taken through the entire gamut of PMBOK, exam pattern, examples, etc. in these few days. The number of hours is constant- 35 hours. If you want to quickly get it done and willing to sit for longer hours each day, boot camp may be the answer for you. Hence, in these 3-5 days, you will be swimming in project management to internalize the concepts. Like a military boot camp which is to train the new recruits, a few PMP Boot Camps will gear you up to take the PMP certification exam the day after the boot camp. What you need to decide is, are you ready and prepared for this rigorous fast track program? PMP Boot Camp works for you if you are having a career break. Moreover, in this case, you would quickly want to get yourself certified. The PMP certification from PMI Institute would give you an edge over others. Now, the icing on the cake is: PMI survey says the PMP Salary would be generally 20 % higher compared to a non-certified person. PMP Exam Cost and Boot Camp: Since you have seen the approach to a boot camp, the next big factor is the cost involved. As a seasoned project manager, you are considering how to complete your PMP Exam project in an optimal time and budget. If you want to know the component of boot camp in the PMP Exam Cost, it could vary between multiples of thousands say $2000 to multiples of hundreds example $200. Moreover, this aspect of PMP Exam cost also depends on where you are located. 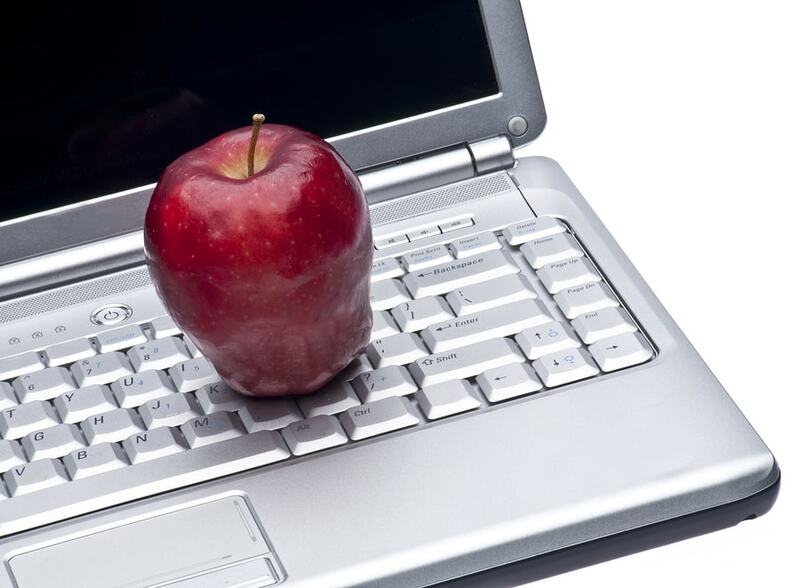 The pros and cons of PMP Boot camp: What are the plus and minus points of this option? What is a plus for you, may be a minus for another one. Hence, what is it that you are looking for? Which of these are the constraints for you? Duration, PMP exam cost, flexibility, etc.? Are you having a short break or a lull in the number of projects you are handling? Do you think you can get a break for 3-4 days from your work? If you say yes to one of these, go for boot camp. You never know when you can get this clear slot to complete this mandatory prerequisite for PMP exam. On the flip side, if you cannot get 3-5 days off from your project priorities, this is not for you. Also, if there is uncertainty in terms of your off days, this is a tough proposition since there are predefined schedules given by the providers. Is this option looking bleak? Are you thinking why anyone will go for this? There are also plus points. If you have the time to attend this, then you are done with the mandatory requirement and you can prepare at your convenience. Moreover, this is an undisturbed, focused session that puts you through the rigor needed for the PMP Exam though it is expensive if you are looking at the overall PMP Exam Cost. Is it difficult for you to wrench yourself from project priorities and get 3-5 full days to attend the boot camp or a classroom session that happens over weekends? Looking to reduce your PMP Exam cost? Don’t worry! You are not alone and this is a typical case for many project managers. So what option do you have? There are online PMP Certification or PMP Boot camp online options for project managers like you. What is different about these? Why are these helpful to me? Is the PMP Exam Cost components also better than other options? Course Coverage of Online PMP Training: You can learn the concepts of project management based on PMBOK. In addition to this, you may have lessons based on other text books on project management or additional topics. Since the PMP Exam would test your understanding of the application of project management concept, you need to know more than PMBOK. Therefore, some of the training providers offer a PMP Study Guide which has additional material. You may have access to the video recording of the sessions. Some of the online PMP certification providers give you downloadable flash cards, mind maps, and mock tests to help you prepare for the exam. How much does an online training cost? You have various options from which you can choose the one that suits your need and PMP Exam Cost. Do you want a monthly subscription? Then you can decrease this component of the PMP Exam cost to a level of under $50! Training Packages: You may also opt for a package which gives you access for one year or a life time! Of course, not that you will need a life time to complete the PMP! But, you can refer to the knowledge base anytime you want to. If you want an annual package, you may end up paying less than $200. Therefore, there is a clear cost advantage in the online package with regard to PMP Exam Cost. Flexibility in learning. You can learn from anywhere in the world with no restriction on time if you are connected to the internet. Cost effective: You get access to the same content at a much lower price that is a great cost saving in the overall PMP Exam Cost. You can make good use of the visual aids available as part of the online PMP certification program and save on the PMP Exam Cost without spending on other outside resources. Are you wondering if this is a panacea? Not exactly! There is the downside of this option too. Since you have access for a year, you may become lax in your preparation. Unless you have a defined timeline for yourself, preparation could become erratic and may be left incomplete and this PMP Exam Cost component becomes a sunk cost. If you need peer pressure and co-working, then this may not work for you unless you are ok with a virtual network group. Summing up, PMP Exam Cost will be $555+$2000+$100 which is $2655 on the higher side. If you choose an online training, PMP Exam Cost might be $555+200+100 that amounts to approximately $900 out of the total PMP Exam Cost. Or your PMP Exam Cost limits, the UCL could be around $2655 while the LCL may be around $900. Let us look at the benefits you can expect on this investment in PMP Exam Cost. What does that amount to in terms of PMP Salary? If you are in the USA in the pharma sector, you may be making $125000. Meanwhile, a PMP in Canada may earn up to $ 115000 when working in Agriculture/Mining. However, if you are in India, you may earn INR 1800,000 for the PMP Exam Cost. 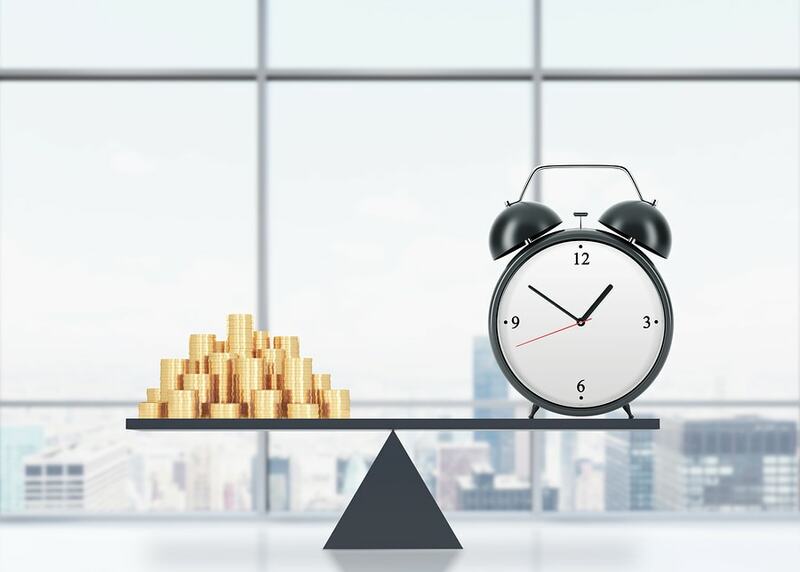 Combining the tangible and intangible benefits, your PMP Exam Cost is justified provided you have managed your budget well with cost effective choices.